When I was a little girl I was a bookworm and now I have news to share, news that would make any bookworm glow. 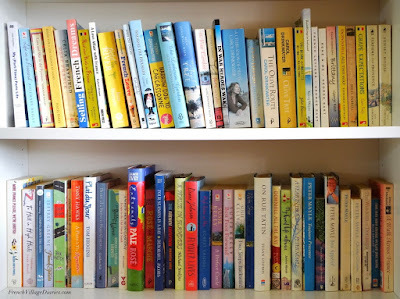 My childhood bedroom was filled with shelves and each shelf was carefully filled with books, all arranged in alphabetical order and I may even have had little stickers on the spines too. 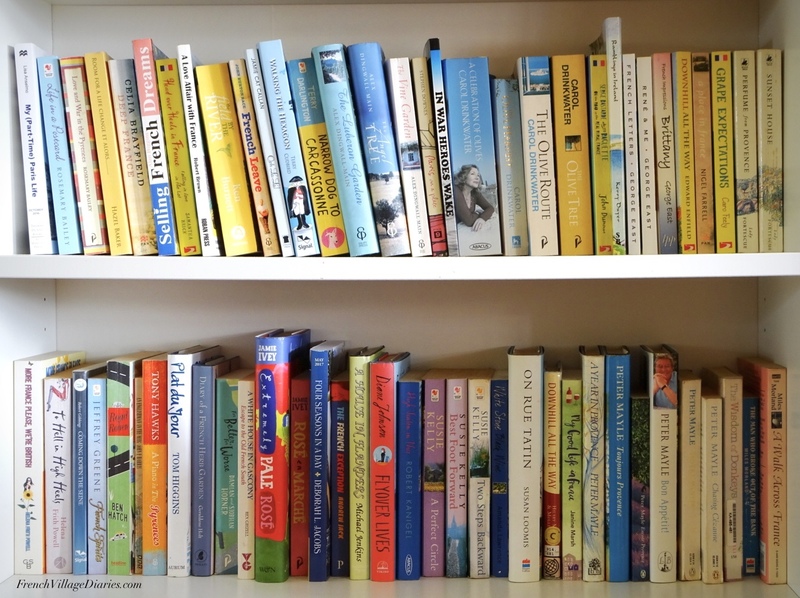 I would have loved to be a real librarian, especially after helping out in our local library every Saturday morning for a six-week community service project when in the Guides. However, in life, things crop up, paths change and somehow I swapped wanting to be a librarian for setting off to teacher training college instead. It didn’t take me long to realise university life wasn’t for me and so began my numbers phase. A part-time holiday job as a bookkeeper led to many years working in accounts, studying and taking exams, and by the time I went on maternity leave in 2000, I was a management accountant commuting daily to the City of London. Not bad for someone who scraped a grade C in GCSE maths. 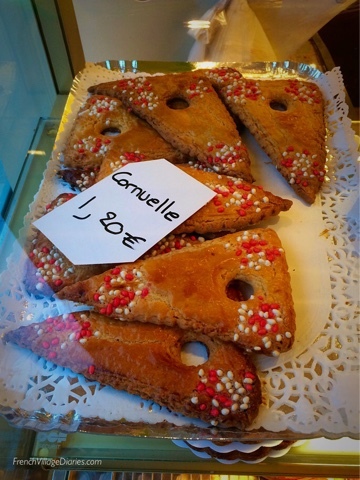 My other weak subject at school was French, so again I’m kind of bemused to find myself living in France and speaking French well enough to be actively involved in French village life. I’m even called upon to help my English-speaking neighbours when they find themselves in tricky language situations. I put my language success down to getting involved and one of the things I’ve been involved in, since 2007, is volunteering to help run the village library. It might only be one afternoon every few months, but it’s something that takes me back to my childhood dream of being a librarian. It has also now opened a door to a really exciting new chapter in my life in France. At the end of January, I received a surprise phone call from the library in our local town of Chef Boutonne, asking if I would be interested in a four-month, 22 hour a week contract to cover the maternity leave of one of the librarians. The phone call being in French meant a time lag of a few seconds to ensure my brain really had understood her, but by the time I put the phone down a little flame of excitement was already burning within and I’d agreed to go for an interview. The interview, with the librarian who’d called and a member of the local council, lasted an hour and seemed to go well. I’d taken the trouble to update my CV, in French (with the help of a friend) and although they hadn’t asked for one, appreciated my effort. I might not have any work experience since 2004, but I certainly had a comprehensive list of volunteering experience. The Maire, following his briefing with the councillor, made the final decision and he said yes! I am over the moon and can’t believe I am going to be paid to spend my days in a library, surrounded by books. I’m also a little anxious about managing my time as a wife, mother, gardener and librarian, plus being in a public-facing role, necessitating speaking French every day and ‘performing’ in front of primary school children at their animated story-time sessions. However, I am a great believer of the benefits of stepping out of your comfort zone every once in a while. I may be 46, but on Tuesday of next week, my dream of being a real librarian is about to come true, so never give up on your dreams. 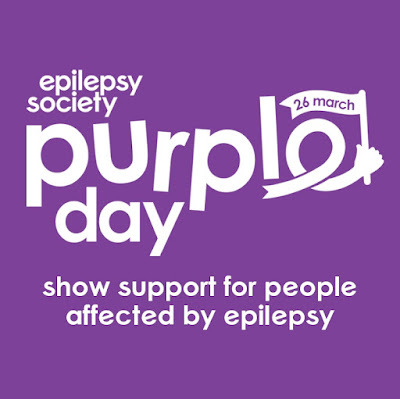 Today, 26th March, is Purple Day 2018, a day to talk about epilepsy to raise awareness and understanding of the struggles people living with epilepsy go through. Four years ago, almost to the day, I was elected onto our local council. This was a big thing for me, it gave me a feeling of being accepted into the community that I now call home, it would be a big step in terms of developing my French language and opened up the possibilities of new experiences for the future. I searched back through the blog, to remind myself what I’d written about it, but there was nothing there. Four years ago, I wasn’t in a particularly good place. In February 2014, epilepsy gate-crashed my life once again, after an absence of over twenty years, leaving my confidence levels at rock bottom. The future felt dark and bleak, and the excitement I should have been feeling for my new role was replaced with anxiety. I retreated within, not able to share what I was feeling inside. Time is a good healer and in 2016 I shared my epilepsy story on the blog and I know I am lucky, aside from a few wobbles, epilepsy has left me alone since then, but I now know it is not, and never will be, something I can ever put out of my mind. I am once again on the brink of change and looking forward to the challenge of working in a fully French environment for 22 hours a week. It should not be a particularly stressful role and it won’t be too demanding physically, but I can’t pretend I’m not a little anxious of the challenge ahead. I am a worrier and having the shadow of epilepsy hanging over me doesn’t help when the what-ifs build inside my head. However, I’m also stubborn and refuse to sit at home and do nothing. Saying no to a dream job that found me, just in case I may have a problem is as daft as not ever getting out on my bike again. As with cycling, I won’t take any unnecessary risks and as it probably will be tiring, although more mentally than physically, I will make sure I don’t overdo things. I am slowly learning to channel the positivity of the what-if worries, without letting them take over – as long as they are there it does at least mean I will never drop my guard, take any risks or forget that epilepsy is there. I am also very lucky to have a lot of support from my family and some good friends in the village. 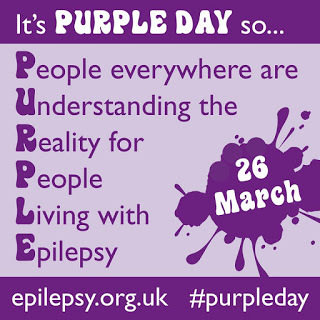 Chatting to my exercise buddy about epilepsy this morning, she thought talking about what to do if you are confronted by a seizure would be something worth mentioning today, so here is a handy guide, from the Epilepsy Action website. Please feel free to share this post with your friends. The more people who are aware of what to do and what not to do when someone is having a seizure, the better. You can read my full epilepsy story here.